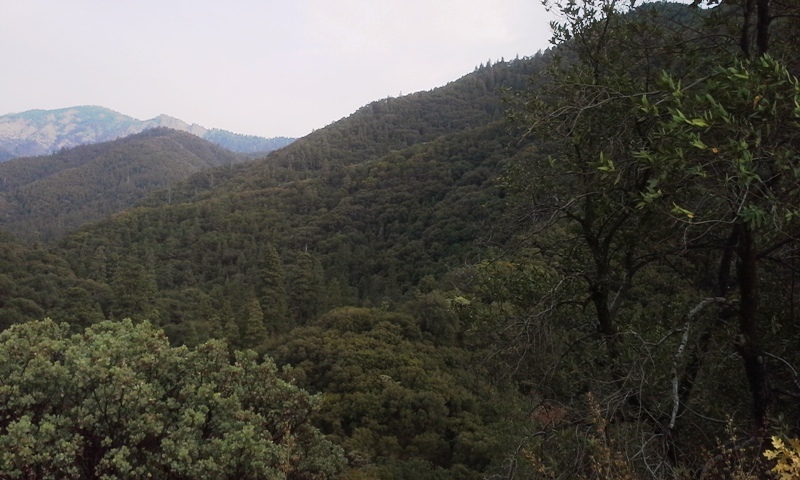 I accidentally ended up at the Sequoia National Forest over the weekend. I was headed . . . well, nowhere in particular, to tell the truth. I was driving on a winding road, unable to see where I’d been, unable to see where I was going. The road seemed never ending. I’d started out with a full tank of gas, and by the time I got down to a quarter of a tank, I began to wonder if I’d ever find a gas station, or any sign of civilization for that matter. I took a turn around a corner, and there, in a tiny settlement of three or four houses, I saw a run-down market. I stopped to ask if there was a gas station up ahead. The woman asked me where I was going. I said I didn’t know. She gave me a strange look when I admitted I didn’t even know where I was. Finally she said I’d find a gas station at the end of the road to Lake Isobel. Ah! I knew Lake Isobel from a brief perusal of an online map the night before, and I mentioned that I might be going to the lake. The woman shook her head and said the lake wasn’t that attractive. It was just desert. 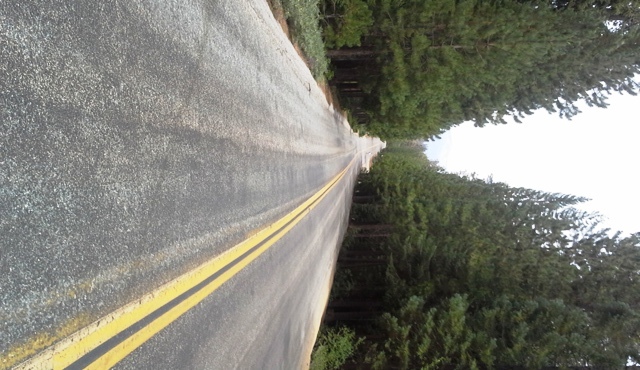 Then she suggested I turn left instead of right at Lake Isobel and go to Ponderosa. I thanked her, and since I really didn’t have a destination in mind, I headed for Ponderosa. 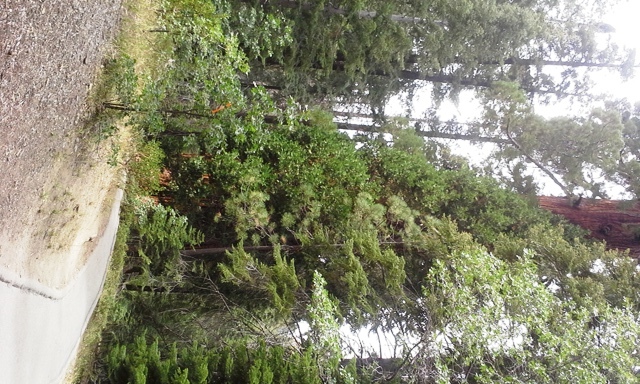 As if that weren’t enough, I stopped at sign for the “Trail of a 100 Giants and found myself among the giant sequoias. Wooo. What a treat. It seemed like a natural cathedral to me, though most people acted as if they were at a carnival. 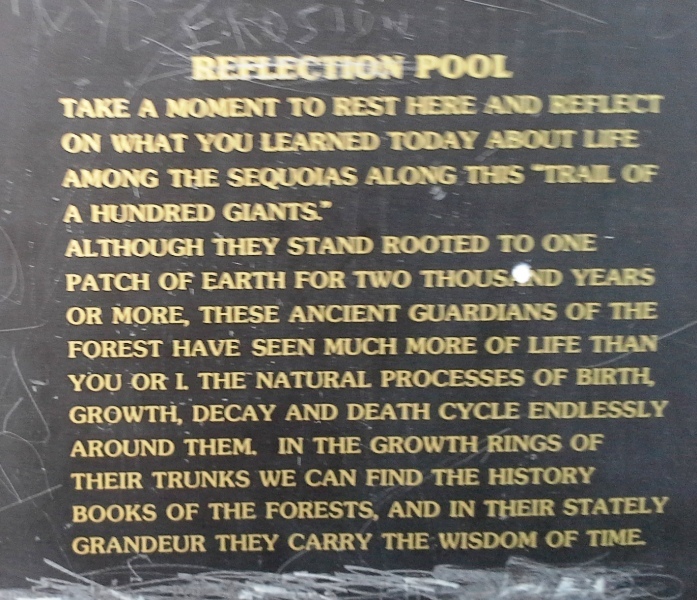 As I stared into the pool at the reflection of the sequoias, I reflected on . . . not much of anything. I was still in awe at what I’d seen and felt. 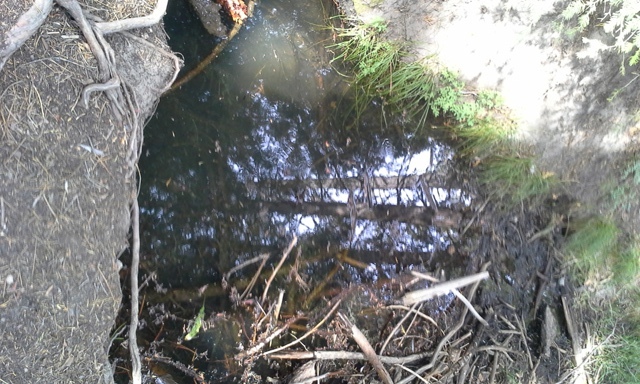 Great story – it’s amazing the cool places you end up when you aren’t going anywhere. I went to that park in 2008, it was the most sublime place on earth, I could quite happily die there surrounded by those giants and the peace even with the many people who frequent the forest there is that sense of everlasting peace and tranquility. Glad to see your vacation is doing you well, Pat. Hope the good feelings last a long time. The sequoias are a gift. « Have You Hugged a Tree Lately?